Thermopolis, Wyo. 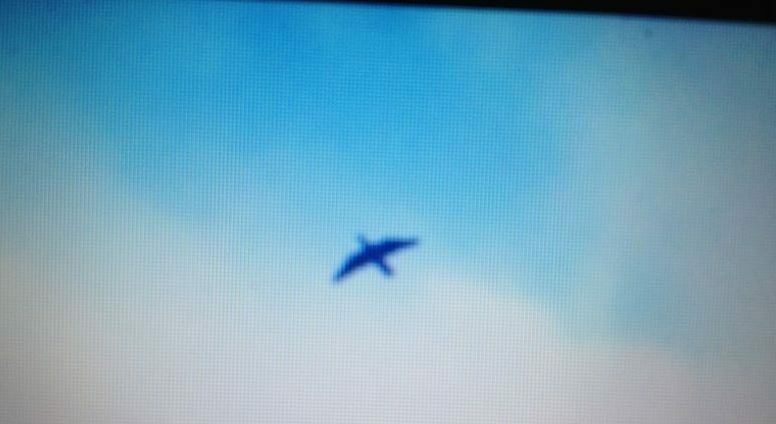 — A registered nurse says she saw a giant bird in Hot Springs County that he claims was not able to immediately identify. The 35-year-old Oklahoma native, who asked to remain anonymous, told Cryptozoology News that he was driving north on Buffalo Creek Rd on his way to Thermopolis when he came upon the unusual sighting about a month ago. The woman provided a detailed description of the alleged bird as she claims that she was able to observe it for about 3 minutes with her binoculars during day time. The woman says she is sure that this was the “largest flying bird” she had ever seen, other than Condors at the zoo, and that she is well versed in ornithology. “There were a group of three Harris hawks I had noted in the same general area the day before. Harris hawks are not small birds, but they appeared tiny in my minds eye. I was seriously perplexed when I saw the bird since I couldn’t identify it as a golden eagle with any type of certainty,” she said. In 1890, Arizona newspaper The Tombstone Epitaph reported that two ranchers had allegedly killed a “winged monster”, similar to an “alligator”, in the desert between the Whetstone and Huachuca mountains. In April 2015, a Louisiana man claimed to have seen a similar flying creature he believes was responsible for cow mutilations back in 1978. Just a month later, another person came forward stating he had seen a dinosaur-like bird at a public park about 50 miles northwest of Tucson in 2002. In October 2015, a California man snapped a photograph of what he believed to be a “prehistoric bird”. The city of Thermopolis, from the Greek for Hot City, is known for its natural hot springs and is home to 3,000 people. The post Giant Bird Seen in Wyoming appeared first on Cryptozoology News.